Time for another peek inside a Degustabox! What does June have in store for us… What is it? 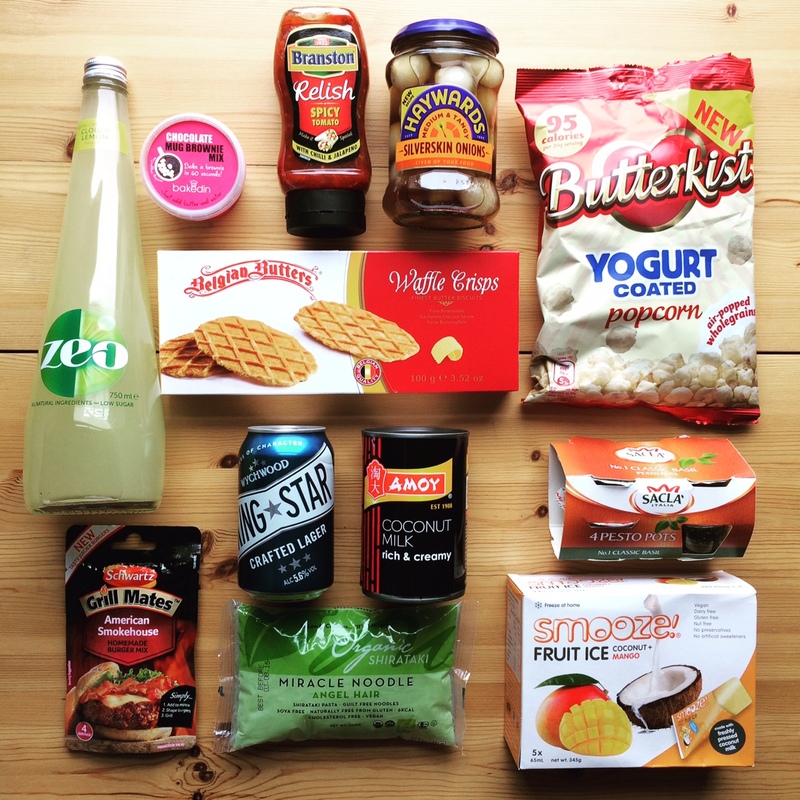 Degustabox is a way of trialing new products. Every month your Degustabox includes a variety of 10 to 15 surprise products, many of which are completely new to the market. They work with lots of recognised brands, as well and up and coming companies to supply their customers with the latest treats. How does it work? Subscribe online, and you will be sent a surprise box! You can’t choose what’s in the box (but that’s half the fun of subscription boxes, right??) You can earn points towards free boxes by encouraging others to purchase a subscription, and by giving your opinion on products in the box via the monthly survey you are sent. The courier company they use is fab. You get an email and a text letting you know when your box is going to arrive, even giving you a 1-hour time slot. That is pretty good! What’s in the box? After the May box (which was epic!) I was expecting great things from this months box… let’s take a look! The Butterkist popcorn went first. I’m not usually a fan of yoghurt covered things, but I AM a big fan of popcorn, and I found these so moreish. It was devoured in double quick time. Haywards is such a recognisable brand when it comes to pickled onions; these were tangy, crunchy and everything a pickled onion should be! Branston tomato relish was a little on the spicy side for me, but i’d imagine it would taste great in a burger if that was your thing! I didn’t expect the Zeo cloudy lemonade to be so sharp, to be honest; it’s certainly refreshing! You can tell that it has much less refined sugar in it than a normal lemonade (each 250ml serving of Zeo cloudy lemonade has just 28 calories, and 1.5 teaspoons of sugar). Looking forward to trying the Schwartz burger mix (and will upload a pic to Instagram when I do!). I’ve never made my own beef burgers before, so this will be fun! As you would expect from Amoy (one of the leading names in Asian cooking) this coconut milk is rich and creamy. I added it when I made my own curry, and it was spot on (even if I do say so myself!) We love pesto in this house, however we do find that we never quite finish a whole jar, and it ends up getting a bit on the mouldy side. No such trouble with the Sacla pesto pots. Each pot is a single serve, so was just the right amount for pasta for 2. No more pesto wastage in this household! I followed the instructions to the letter on the Bakedin mug brownie mix… and it worked really well. I’ve made mug cakes quite a bit in the past, with varying degrees of success, so it was enjoyable to try out a very simple mix with minimal weighing (you need to weigh 15g of butter, but that’s it). The brownie was a great portion for one, and was moist and delicious. The Smooze lollies are AMAZING! Made with coconut milk and fresh fruit juice/puree, they are naturally sweet without adding any extra sugar, or added nasties. So yummy and refreshing. I love that we get alcohol in this box! Time for a King Star; crafted lager from Wychwood Brewery (the people who bring you Hobgoblin). It’s bold and crisp, and makes me wish that I was at a craft beer festival. The Miracle Noodles were a bit of a faff to make up (you have to drain them, rinse them, boil them, then fry them) but I can see that they’re good as an aid to weight loss. They’re an adequate substitute for carbs! The Destrooper-Olivier biscuits disappeared in a matter of minutes. You can tell these are made with lots of butter and sugar. Such a treat! £12.99 per month incl. delivery. No commitment, and you can cancel at any time. Use code BLDEG15 and get a £7 discount on your first box!